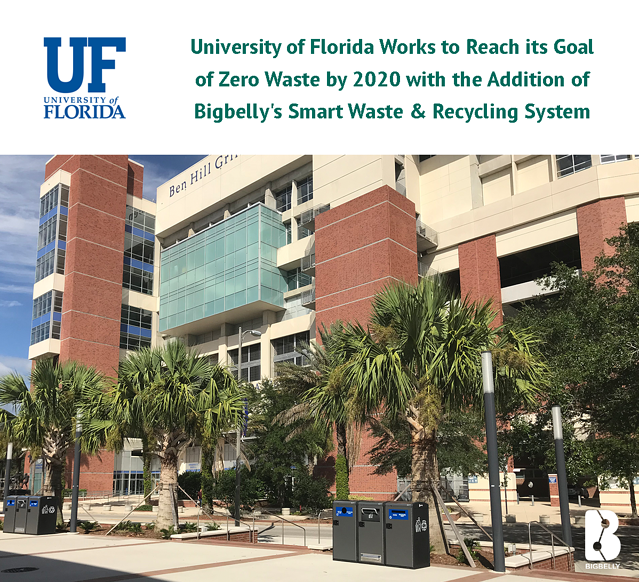 To help reach its goal of zero waste by 2020, the University of Florida is on its way to replacing nearly 300 traditional open top waste bins located in high volume and high profile locations with Bigbelly’s Smart Waste and Recycling System. Working with Bigbelly, Inc., the world leading Smart City Solutions provider specializing in smart waste and recycling systems, UF will deploy smart, sensor-equipped waste and recycling units that meet the unique capacity and waste stream of each area on campus. The units communicate real-time status to a centralized software and grounds crews are notified when they are ready to collect. The cloud-connected platform delivers actionable insights into waste operations to enable productivity, measure recycling diversion and eliminate the potential for overflowing bins. UF Assistant Vice President for Facilities Services Mark Helms said that historically, three grounds crew staff and three UF students spend a total of 240 hours per week collecting waste and recyclables from 1,111 traditional cans on campus. He said, although the old cans capture waste and recycling, they vary in shape, size and color which makes for a cluttered aesthetic and high cross-contamination in the recycling streams. Replacing nearly 300 of the traditional cans in phase one, the introduction of these high-tech units will increase total waste and recycling capacity from 9,000 to 15,750 gallons and alleviate bin clutter with fewer, more uniform collection points. Knowing when to collect and a smaller footprint will enable more productive operations and resource reallocation to more meaningful projects on campus. The Bigbelly stations will also keep the UF campus cleaner with an enclosed design where litter stays in and pests stay out. Campus cleanliness and aesthetics are an important first impression for students, staff, alumni, and visitors when they arrive on campus. 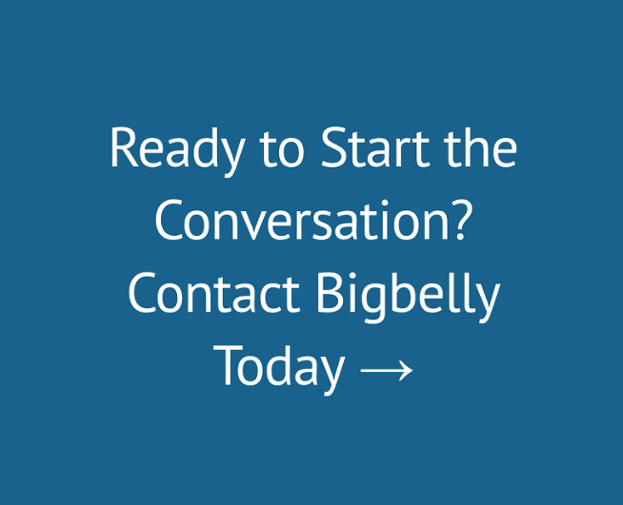 Bigbelly will help UF to beautify campus grounds and instill a sustainable, litter-free campus in addition to being a platform to promote university messaging. Most importantly, this solution will more effectively capture recyclables and measure progress to zero waste. Colleges have a unique opportunity to implement sustainable solutions at scale that make a lasting difference. Deploying Bigbelly throughout campus allows UF to offer a uniform campus-wide recycling system that measures diversion rates and a messaging platform to reinforce proper disposal of waste and recyclables. This visible initiative will highlight UF’s commitment to zero waste and sustainability.